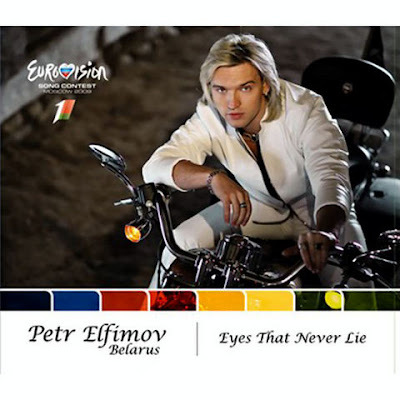 Petr Elfimov has recorded the Eurovision version of Eyes That Never Lie in Finland with Nightwish producer Tero Kinnunen. And as expected it's quite fantastic.A Russian version Vzglyad lyubvi (Взгляд любви) is recorded. Петр Елфимов's website in Russian is here. You can download all cdsingle versions under Multimedia. The dvd has the videoclip. I don't think a studio recording of the first version (as in the national final) has been available on the net or any CD.